Road to Hana, Maui, Hawaii. Also known as the Hana Highway, is one of the most popular attractions on the island. It connects the eponymous town with Kahului. The route provides one of the most scenic rides in Hawaii, therefore it has become popular among the tourists. The entire trip approximately takes about 9 hours. If travelers get on a tour bus, the guide introduces the surroundings and tells about the lava cliffs, small villages, waterfalls and tropical forests. During the breaks, the bus stops at picturesque viewpoints, where tourists can admire great panoramic views. On the way back the bus stops at the natural pool, where passengers can have a refreshing dip in crystal clear water. 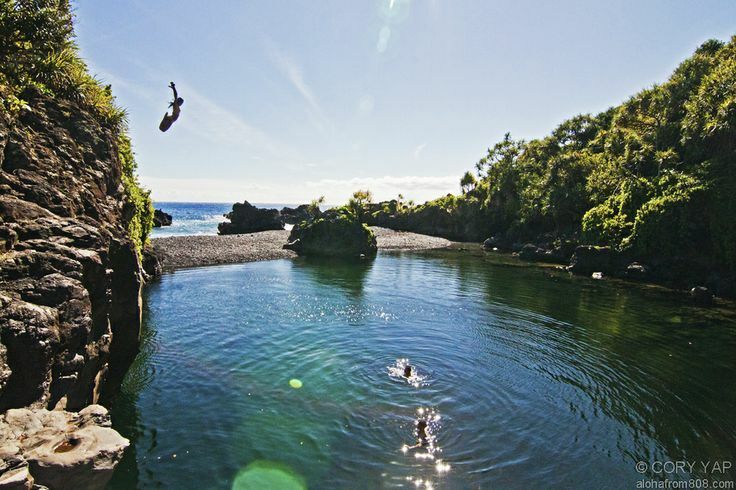 Consider this trip if you want to see more of unspoiled Hawaii. After all this group of volcanic islands is so much more than luxurious resorts. The road allows to explore very well preserved and unique Hawaiian nature. Anytime. The island drops into a mild tropical zone, promising pleasant weather all year round. Winters though might be more humid than other time of the year. If you are going on tour, the bus will pick you up from a hotel. Meanwhile you can rent a car and get there on your own – the road is only 100 km (60 mi) long. Hana Highway connects with Hawaii Route 31.